I’m entering into dangerous territory writing about vegan / vegetarian food, like a meat-eater watching Dominion. Is there an ulterior motive in the friendly greetings, and the attentive morning service? Based on some earlier coffee / pastry only experiences I can conclusively say there is not. This is a safe place. There is no need to push an agenda; the agenda is superb coffee and excellent food. Looking around Monk Bodhi Dharma (the cafe, not the person who brought Buddhism to China) you can tell this isn’t your normal cafe. For a start it is not all sleek lines and modern Scandinavian influenced minimalism; it has character. Wooden (read sustainable) stools, benches and tables are jam-packed into a small intimate space. Suggestively, like bringing Buddhism to China, I have entered a vegan cafe and I’m willing to give myself to it for a meal. I am confident I will not be let down. 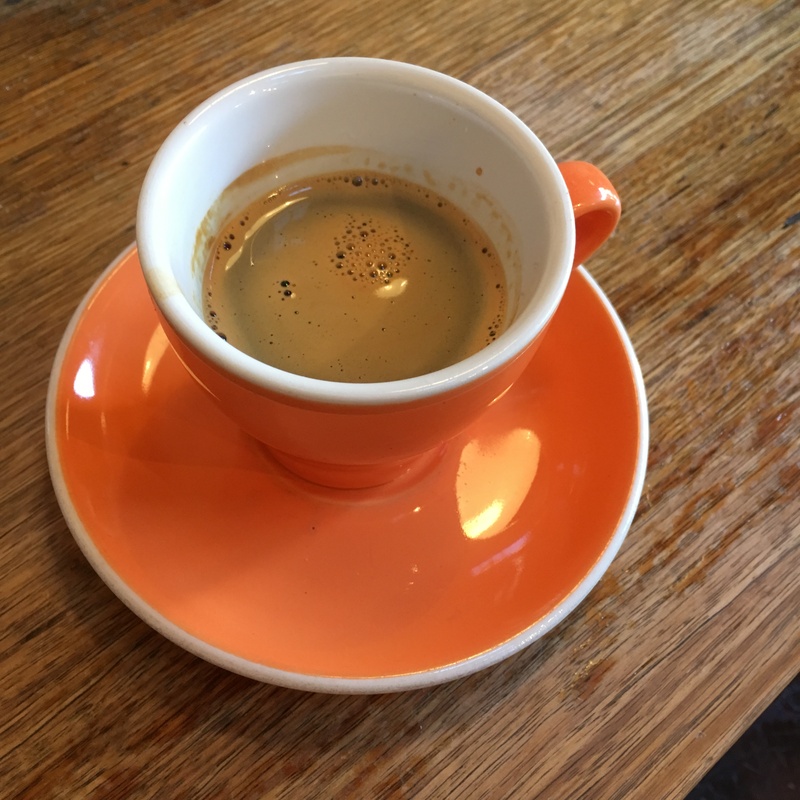 For a start the coffee is delicious as ever, and two long blacks is a minimum requirement. On the menu there is a variety of the usual breakfast staples. It is one meal where certainly meat is not a pre-requisite, and the inventiveness or initiative taken in the dishes is dashing. If Catherine didn’t order the zucchini hotcakes, there was a very good chance I was going to, especially having seen another couple of diners enjoying them. 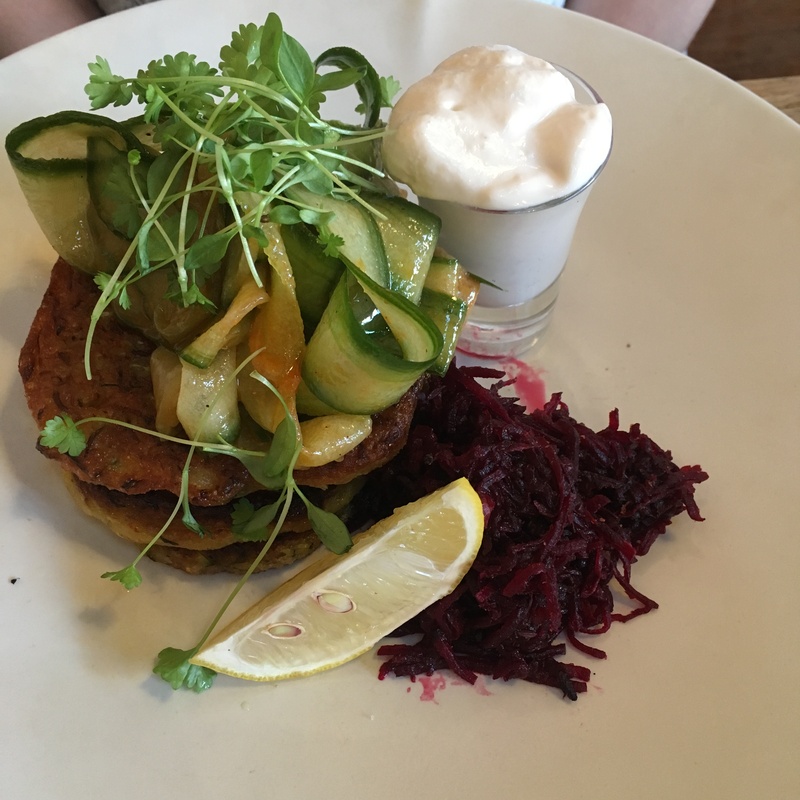 They are served in a stack of three, along side beetroot relish, and pickled cucumber dressed with chilli oil, with a side of vegan sour cream (made of mainly cashew, along with soy). The beetroot relish is a winner, with the raisins adding this defined sweetness that lifts each taste of the fritters. The only issue for Catherine was the chilli which is medium, but impossible to get around (because it seeps into the fritters too). If you are not into chilli take note. I took no time in ordering the umami mushrooms instead. 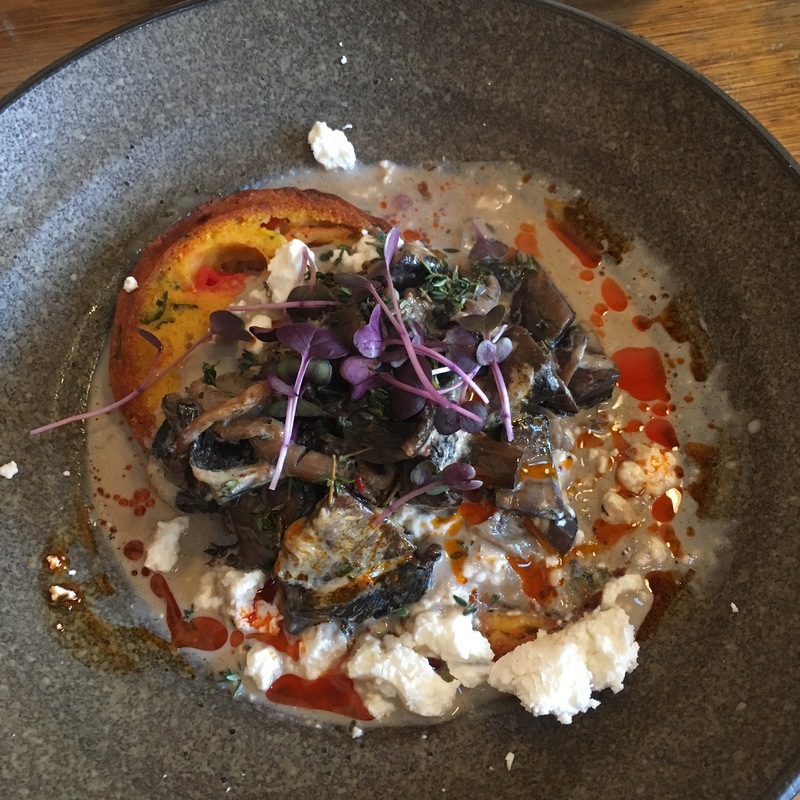 A combination of king oyster, shiitake, oyster and Swiss brown mushrooms are served on pumpkin and polenta bread. A sauce of goats cheese, thyme and red chilli oil, surrounds and engulfs the main elements, making it feel like a close cousin to baked eggs. I took a few bites to decide that I like this dish, and had no trouble finishing. The query I often have with vegetarian food is the liberal use of chilli to add flavour. My only suggestion would be a bit more salt and a bit less chilli, but that is personal preference. 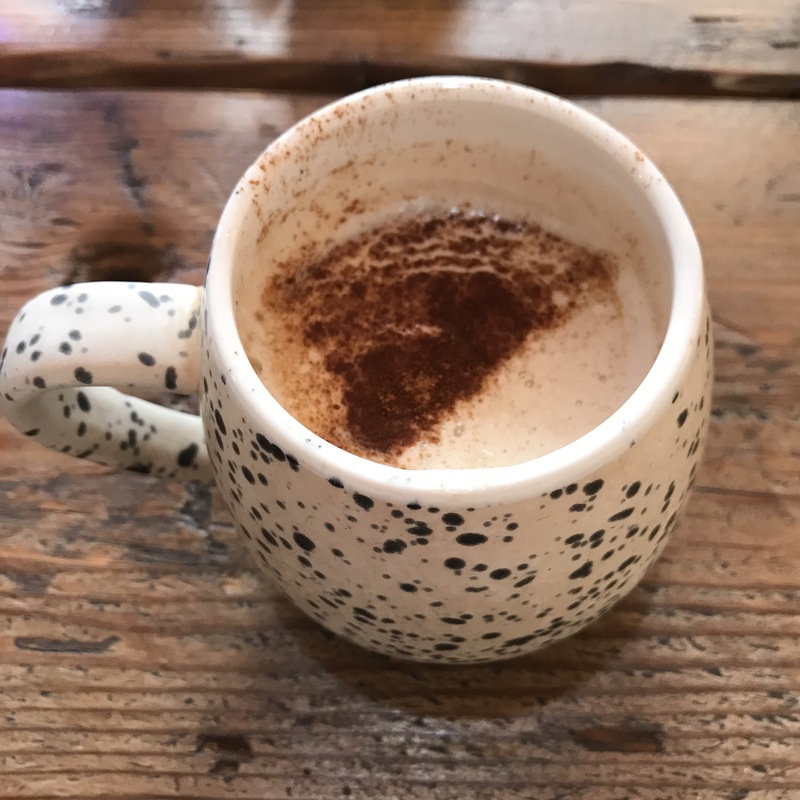 It was an added bonus that Catherine’s chai latte was just as good as my couple of coffees. This place is famous for the quality of its coffee, and certainly that introduction gave me confidence that the food would not let it down. There are several other dishes that we would be happy to try on the likely repeat breakfast visit. I’ll never be a vegan or a vegetarian but I could survive on this type of existence. As much as I love meat, it is often nothing more than a filler to better elements in a dish. Several times a week we eat vegetarian at home without even thinking about it as such. In a world where excesses, combined with reducing quality of food to meet supermarket demands is the norm, I truly believe we all need to change our habits. Breakfast at MBD is a great way to start! Wonderful meals are one of a smattering of events that you will never forget. 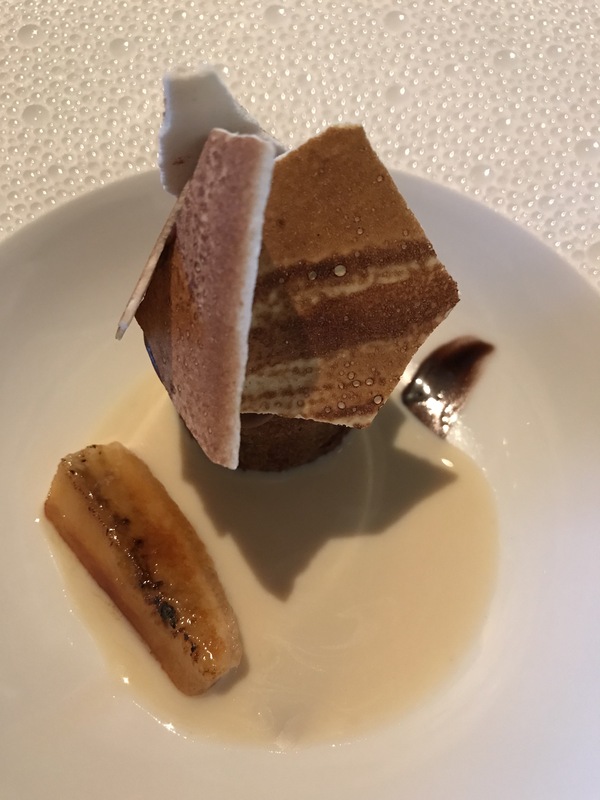 Vivid memories of the best food imaginable, while already in the throes of a relaxing holiday, linger long after the occasionally enormous bill has been paid. One of the conundrums I have as an eager writer of my restaurant experiences, is when to put the figurative pen to paper. Too many months later and the feelings are still there, but the ability to paint the picture has diminished. Too soon and I might be still basking in the glow of the glorious food (and wine!) I must admit, with my memory, usually without photos or notes I might as well just share someone else’s review. On this day I can still remember the unrelenting heat. A holiday walker from way back (I did 25km in this incredible city in November in one day) I usually refuse to get transport, but it is very warm, and with a jacket required in the dining room, walking would potentially ruin the day. Even getting out of the Uber and walking to the front door, a curiously unassuming entrance, I was starting to perspire. I can remember looking around as Catherine, looking amazing as always, and I, walked in to a business-like atmosphere. If it wasn’t for the flashes of ornate furnishings, and comforting banquettes, you could be transported straight from a holiday Monday lunch to a boardroom table sandwich listening to the latest corporate training. The trick, which is not difficult, is to focus on my wife, and not on the boisterous chest-thumping discussions nearby. I am not making a point here, except that the meal is so vivid. The reason is the whole package is irresistible for anyone who loves the best in food and dining. Gladly lunch involves a prix-fixe arrangement that is not extraordinarily expensive. 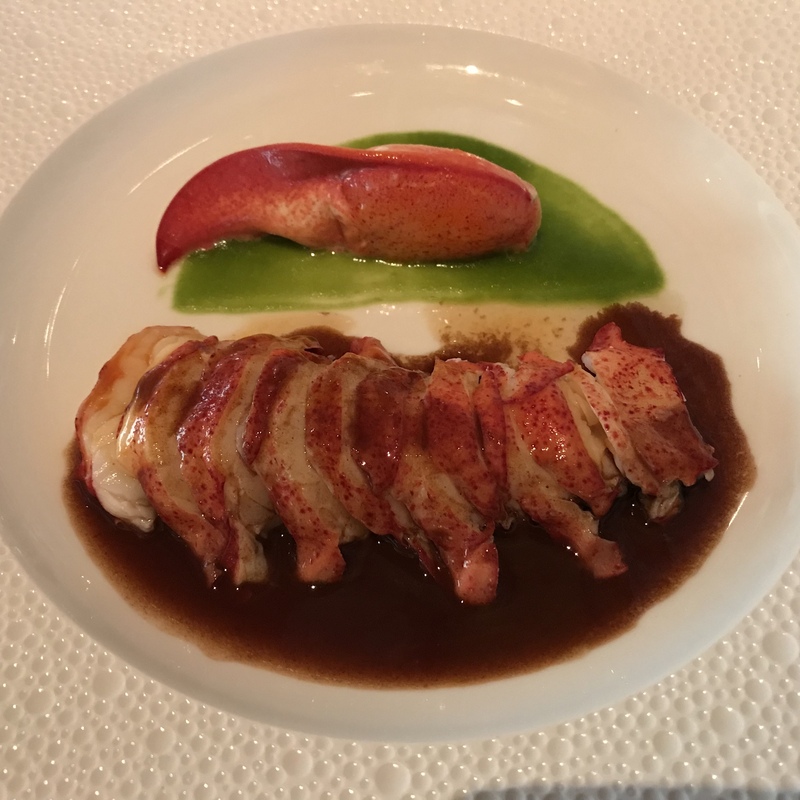 Besides the immaculate presentation of close to an entire lobster, the main memory I have of Le Bernardin is the depth of flavour in each dish, and the exquisite sauces that bind the elements together. 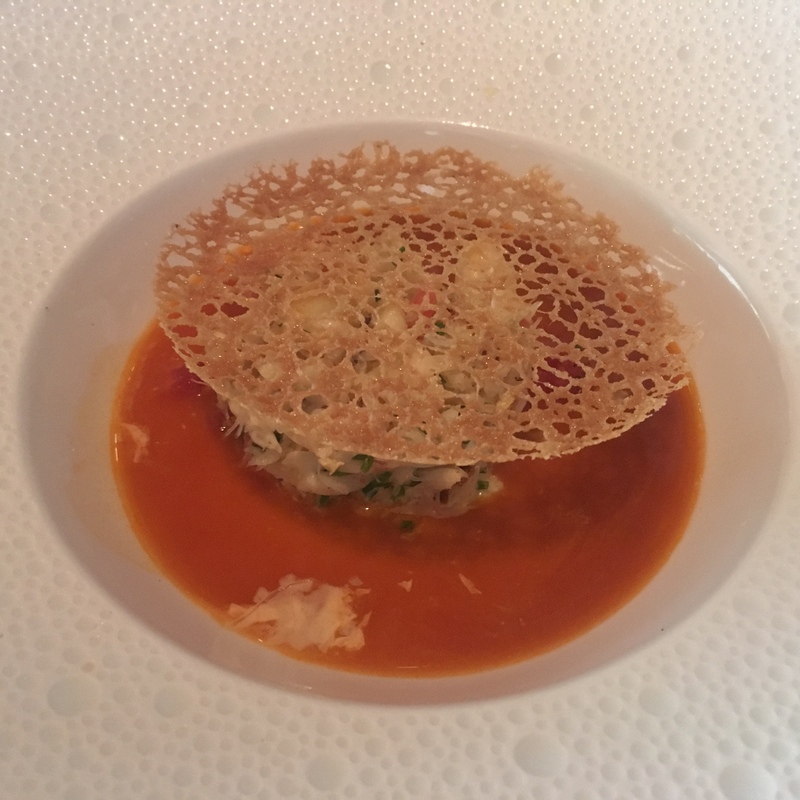 There was the shellfish-cardamom emulsion that surrounds sublime Dungeness crab cake, topped with a crisp to add both an accent on the presentation, and some texture. 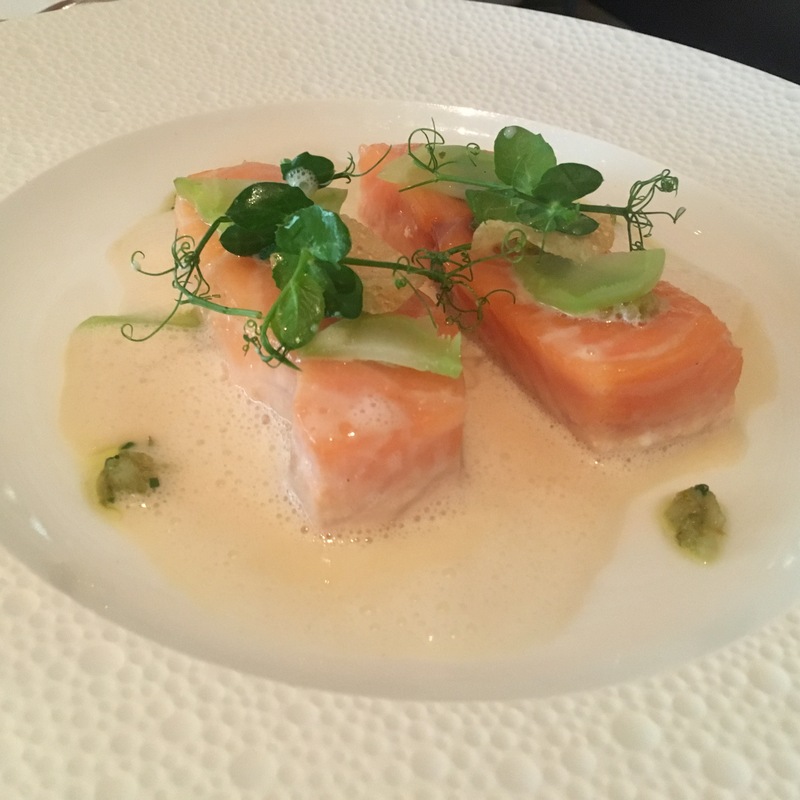 There is the colour of barely cooked Faroe Islands salmon, dressed with miso-horseradish emulsion; each taste naturally melting in your mouth. 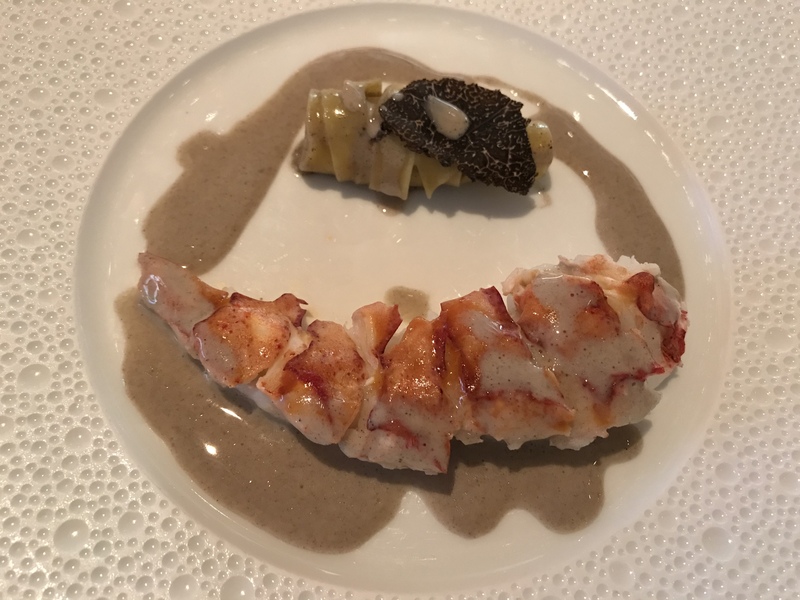 Tagliatelle that could not be bettered by an Italian restaurant we have been to, has to share a starring role with lacquered lobster tail, a black truffle sauce gloriously combining the two in an Academy award winning performance. Yes, Catherine was in love with her dishes, but when my own baked lobster arrived there was no envy, just applause. Not only is it the most lobster I’ve enjoyed in this kind of setting, it is the most delicious. The claw looks so good it is difficult to interfere with, but once I have, it is addictive. In between, more than several tastes of the tail, polenta, and red wine gumbo sauce, have me in rapture. As you can sympathise with, dessert could not be better than the savoury courses, but it was not overshadowed by them. Catherine’s banana s’more, and my coffee caramel crémeux, were both insanely good too. Rich, flavour packed, indulgent desserts, are our style, and these ticked all the boxes. 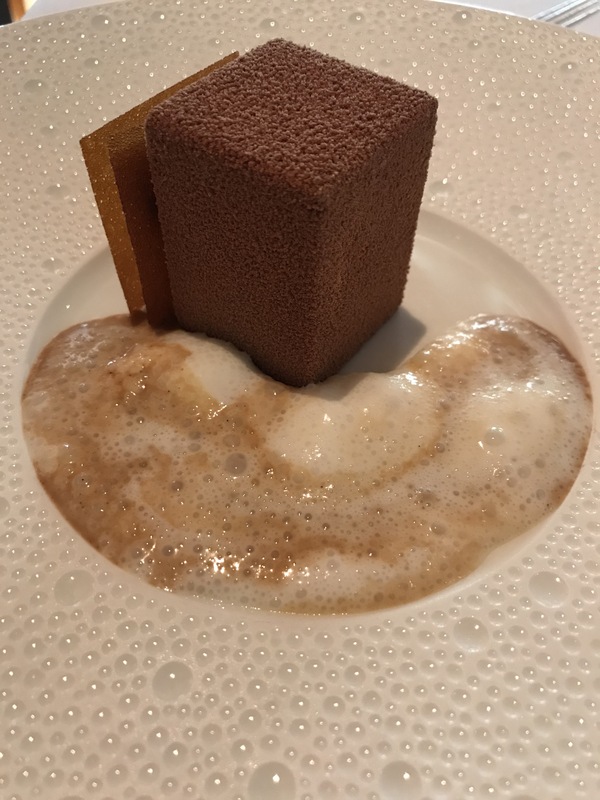 The warm chocolate cake, meringue and coquito sauce, are a marriage in heaven; the crémeux, with roasted almond mousse, and bourbon froth spooned at the table, is presented so beautifully that you are initially torn to break in. As you would expect and hope for, service was utterly professional and pleasant throughout. The aspects that you want from a three Michelin Star restaurant are here and are seemingly effortless. As Catherine puts it “you didn’t want for anything” because it was already there. There is a calm, business-like manner in the dining room, and that is not surprising given this is a Monday at lunchtime. Sometimes when I get to almost a year after an experience I do not feel I can provide an account of that experience authentically. 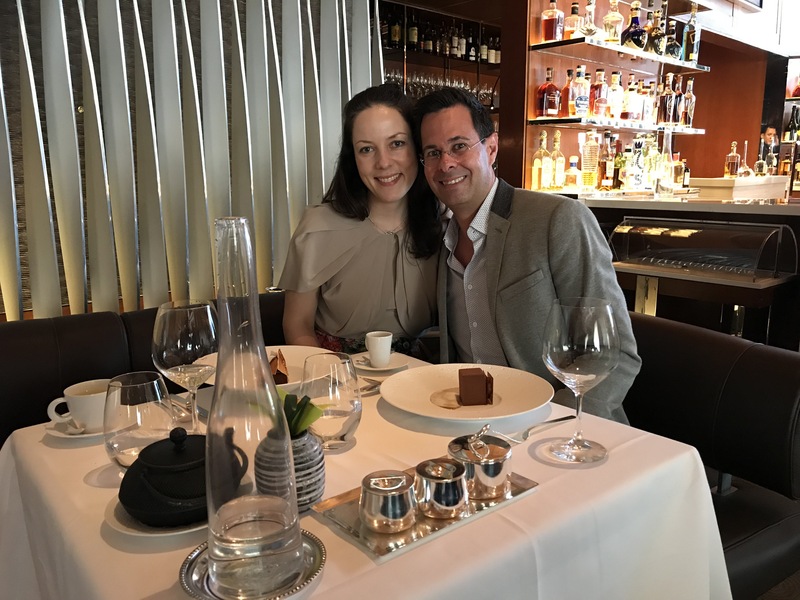 Here the memories live in a special place because the quality of this meal puts it firmly into one of the best dining experiences I’ve ever had. It is true. I get very excited about what some people think is a necessity. I’m talking about food. While eating well, and drinking good coffee, isn’t a “necessity”, it is really important! Well, like my old mate Big Kev, I am excited! Vertue Coffee was actually on my list for so long I had the old name still noted down. “Vertue of the Coffee Drink” was definitely a little bit long for a cafe name. From what I can tell, that is the only mistake the owners have made here. It is cafe heaven and I’ve put my reputation on the line taking some good friends over the past six months. Funnily enough, Inward Goods, just off Swan Street in Richmond, is the reason Vertue became a must visit. They stock Vertue roasted coffee, changing the single origin every week or so. It is beautiful coffee, and well made by the team at Inward Goods which is one of the crop of bike/cafe venues. Carlton is not that far from where I live, but the cross-town traffic can be exactly what Jimi talks about. I’ve put that aside and been here four times in about seven months. First on my lonesome, next with Catherine, then good friends Guy and Laura, and finally with my mate Puch. All of the food I’ve eaten here is top quality cafe fare. 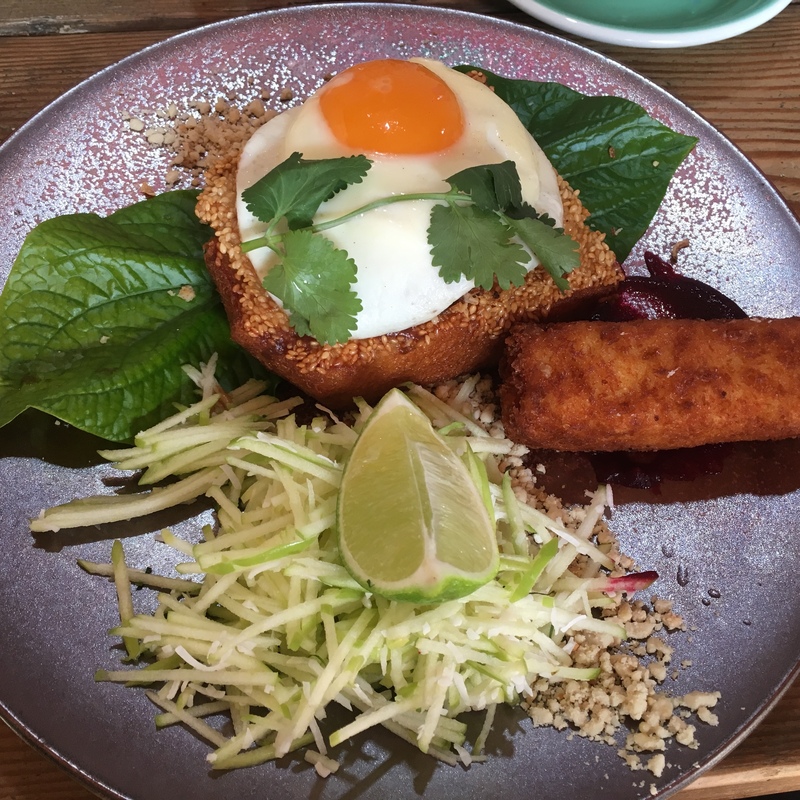 Dishes like the “Return of the Mac” and “Tamarind Prawn Toast” are quite unique. As you would expect, the coffee is superb. At the back corner of a petrol station, and down a laneway that is pretty ugly, this is a very unusual location. Once inside you are in perfect comfort with an industrial feel, and very high ceilings, allowing daylight to come through in good measure. Service is good on the whole, with the manager particularly attentive to customer needs. 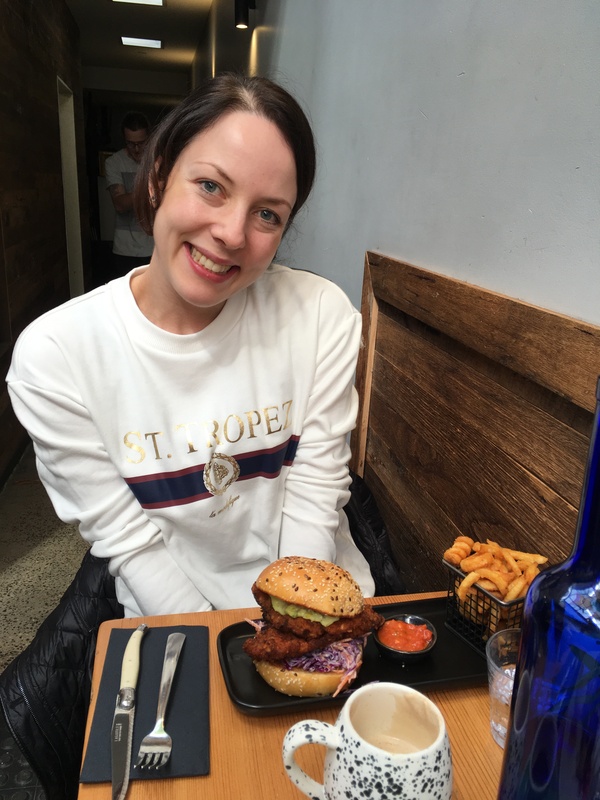 Catherine’s tried the fried chicken burger, and the pea smash a couple of times. 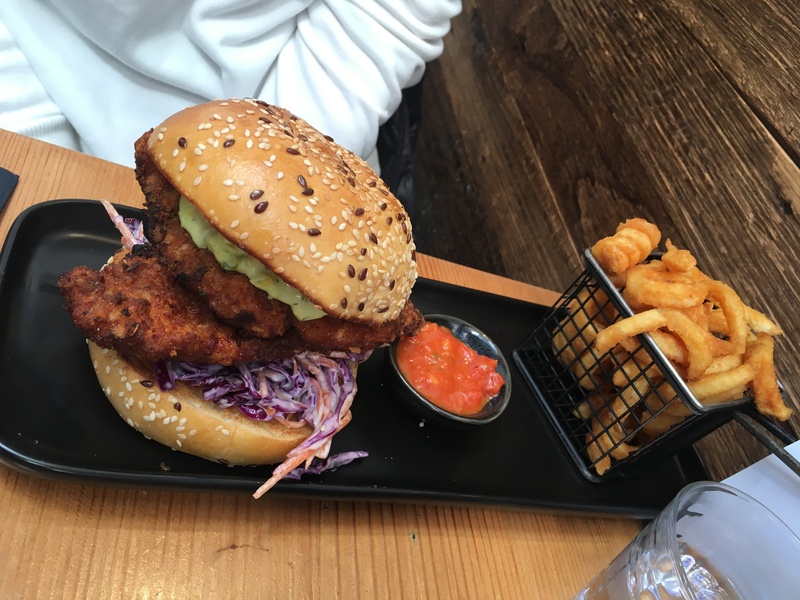 The burger is huge; a brioche bun filled with delicious buttermilk chicken, house slaw and corn aioli. 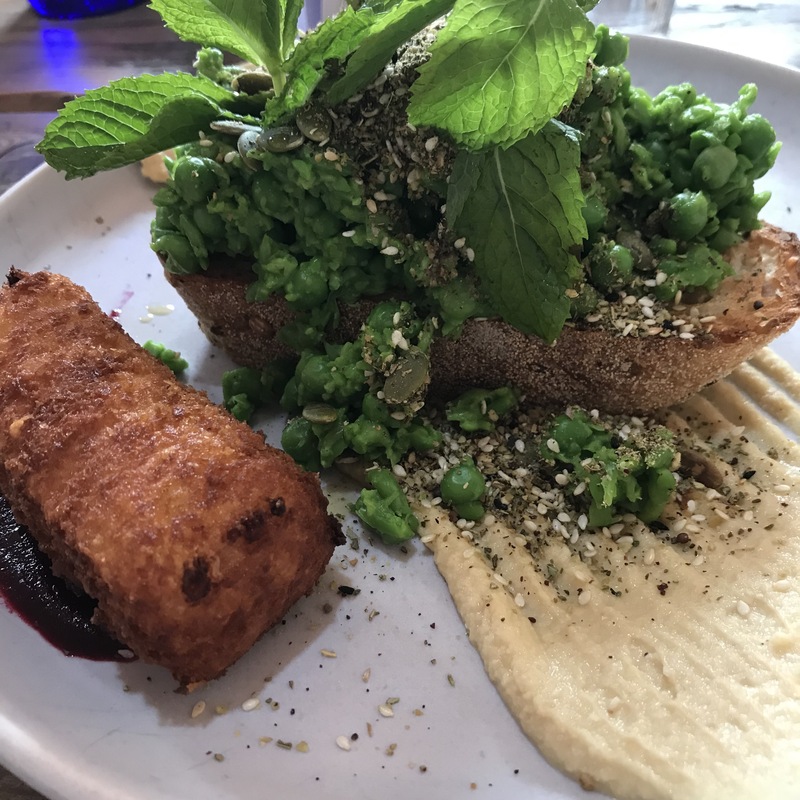 Again a generous serving, and beautifully presented, the pea smash comes with hummus, toasted pepita, and dukkah. It is flavoursome and fresh. My favourite dish is the Tamarind Prawn Toast because it is such an interesting take on what is more of a western Chinese ‘classic’. 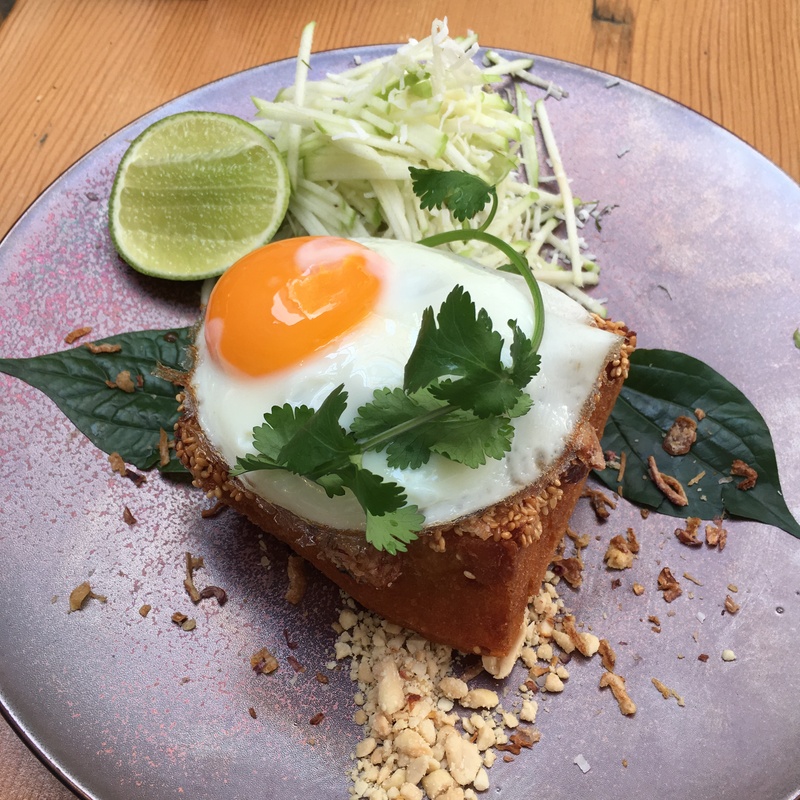 That flavour from the fried goodness of sesame toast filled with juicy prawns, the freshness of the young coconut apple salad, peanuts, and the gooey fried egg yolk saucing it up. What did initially get me back was the need to have a big appetite to go after the Return of the Mac. This is serious. 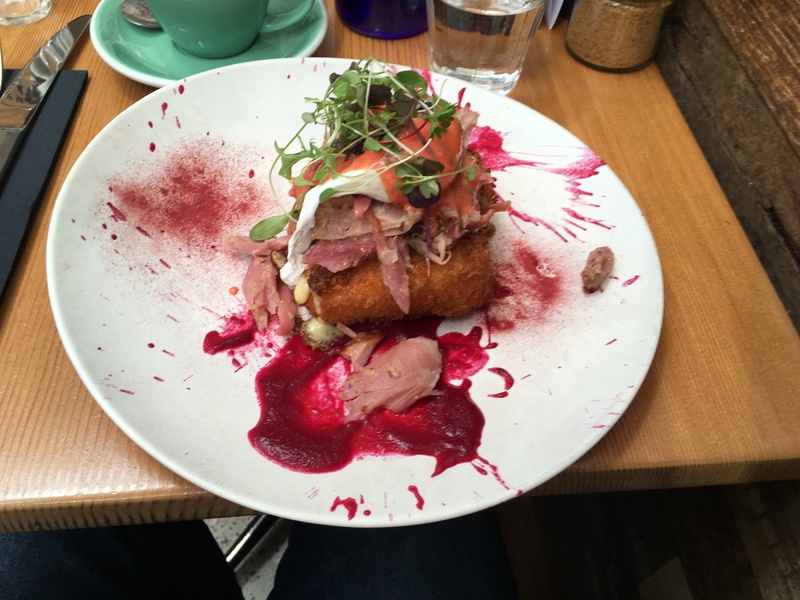 Mac and cheese croquettes, slow braised ham hock, beetroot puree, beetroot hollandaise and a poached egg. You don’t need me to tell you it works. Vertue has quickly firmed itself into my list of favourite cafes. Food, coffee, service, and venue, all marry each other in perfect harmony. I realise I have been to Northcote several times in my ten years in Melbourne. Never do I feel unwelcome, but equally it feels outside of my comfort zone. That all ended at Red Door Corner Store. Maybe it is the off-High Street aspect? More likely it is because there is nothing to be uncomfortable about in this area any longer. It has changed. 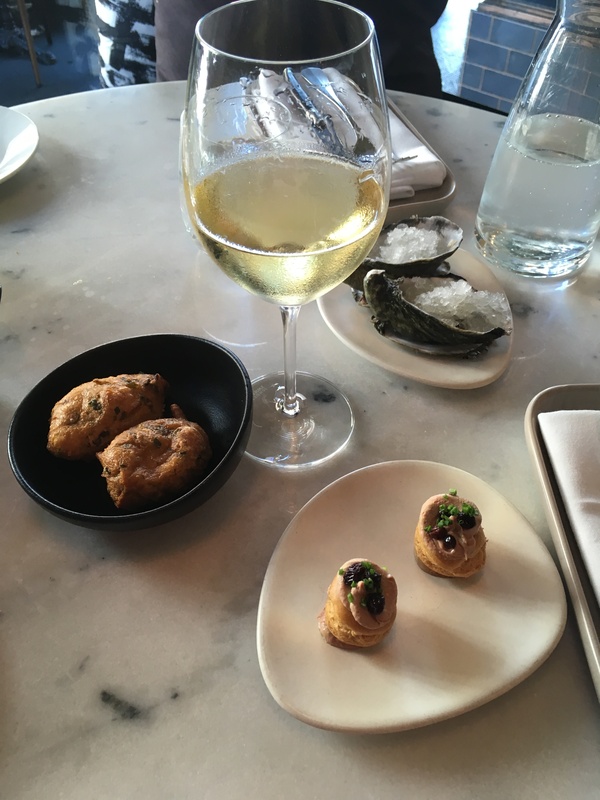 No longer only for the hippest Melburnians, Northcote has slowly diversified, offering more, and suiting a wider range of tastes. Back to Red Door Corner Store. Catherine found it through some research when we felt like something new to try in an area we hadn’t been to for a while. 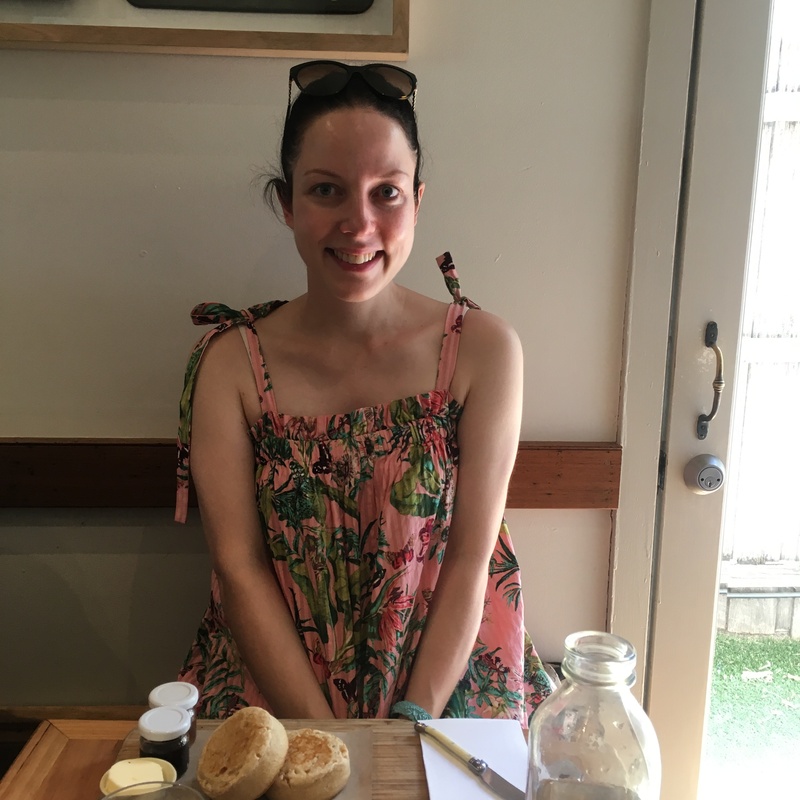 We encountered a nice, warm cafe, nestled in the suburb, with friendly staff, and happy customers. 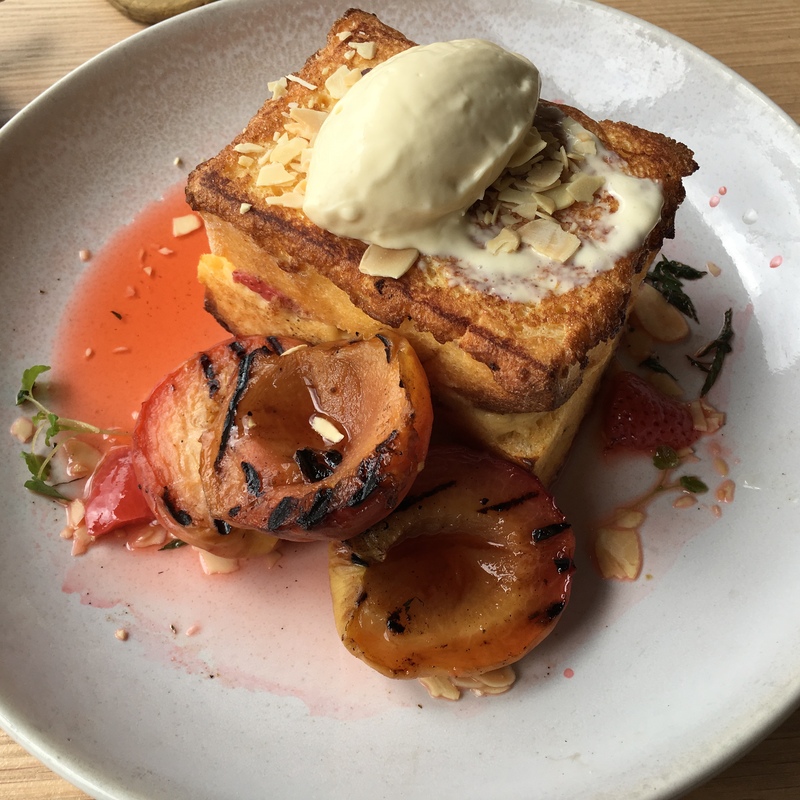 On that occasion I tried the brioche French toast and I was instantly taken with the dish. The presentation, the champagne poached strawberries, the orange blossom custard, and everything else thrown in, but in beautiful balance. Grilled peach, toasted almonds, mint and maple creme fraiche top it all off. Catherine’s diet has been restricted by pregnancy, but she was pretty envious to say the least. Both times we’ve been she has settled for the homemade crumpets, which are very nice all the same. 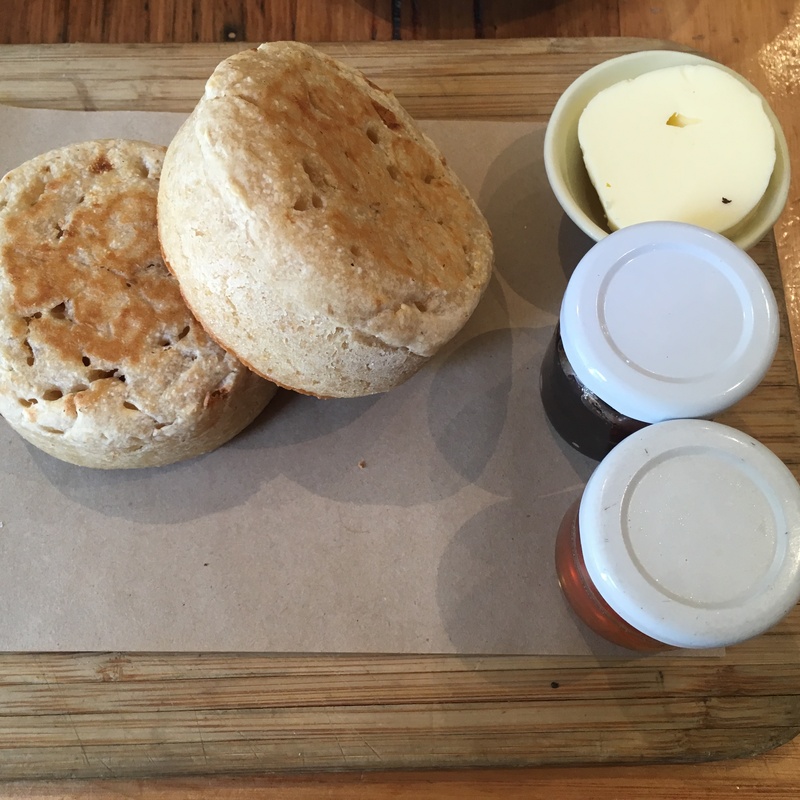 Served with Lescure butter, jam and rooftop honey, the jealousy was eased considerably. 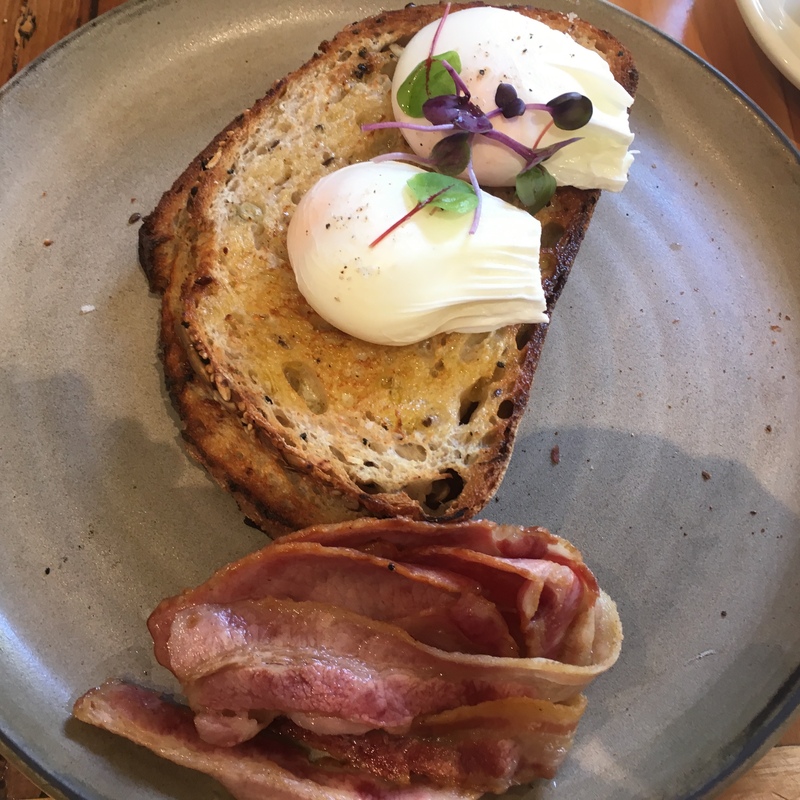 On the second time around I gave the breakfast staple of poached eggs and bacon a go and was again impressed, albeit by a simpler dish. The coffee is great too. Both my usual long black, and the heat soothing cold brew, are terrific. Catherine enjoyed her chai lattes as well. It is always easier to create atmosphere in cafes that use old houses (or corner stores) with their little nooks, and cute outdoor areas, whether in the front, back, or both. Red Door Corner Store captures this with precision, adding great food and coffee, and friendly service, to provide the complete breakfast package. Noir is a restaurant that I have been to occasionally, and have always had a good experience. Knowing that, and noticing the lunch specials on my regular walks along Swan Street in Richmond, I was intrigued. How can a restaurant of this calibre charge so little for lunch? 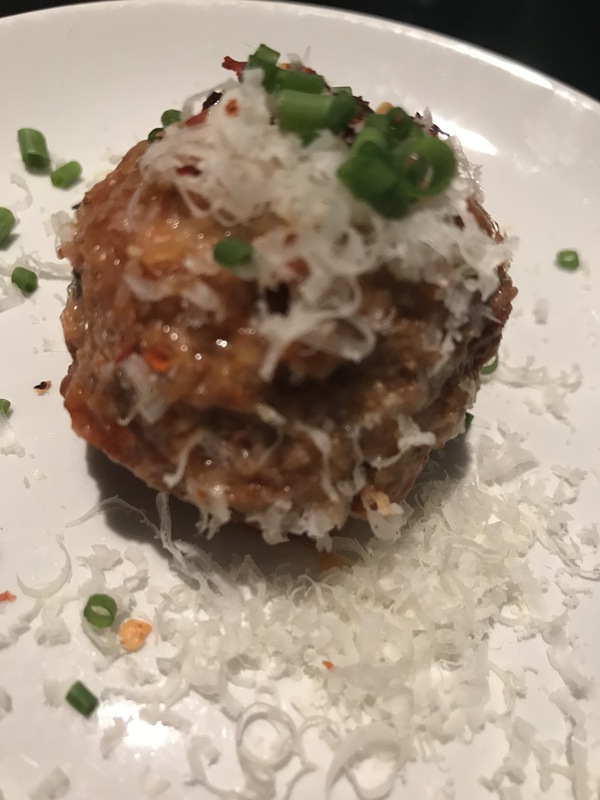 The express lunch includes dishes for around $18 to $20, and there is an option to add some starters and petit fours, plus a glass of wine for $40! Catherine and I had to eventually try it and we are glad we did. After three nice shared entrees of oysters with lemony champagne granita, gruyere cheese beignets, and puffs filled with pate, we were on to our main. Catherine chose the parmesan gnocchi with green vegetables and a black truffle and hazelnut pesto. 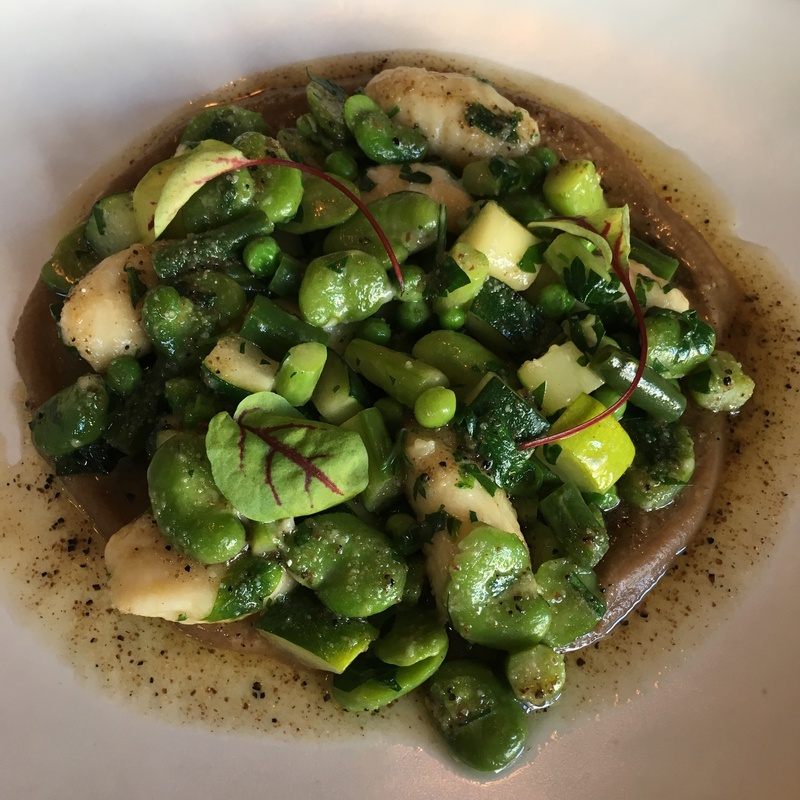 The gnocchi has a firm but giving texture, combining beautifully with the peas, broadbeans and zucchini; moistened with the black truffle infused sauce. 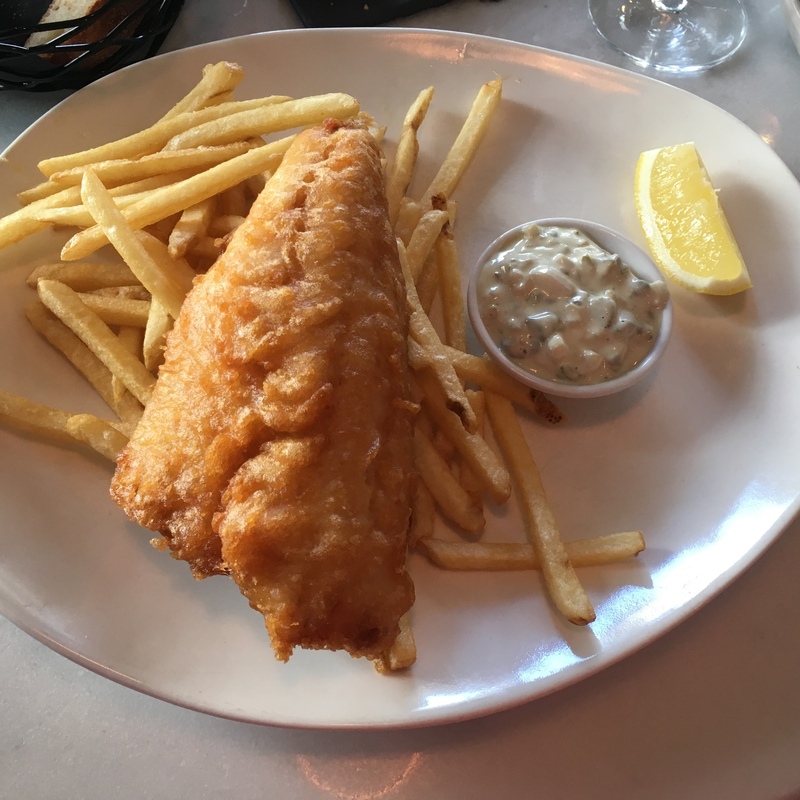 My fish and chips was great too. Homemade tartare with a good lift from extra capers, and nicely cooked snapper, made for an enjoyable lunch. Both the Chapoutier grenache blanc, and the Bella Ridge chenin blanc, were wines I hadn’t seen on other restaurant lists, but would happily order again. The chenin blanc from the Swan Valley in particular was surprisingly well made, and I can see why it appears on the list. 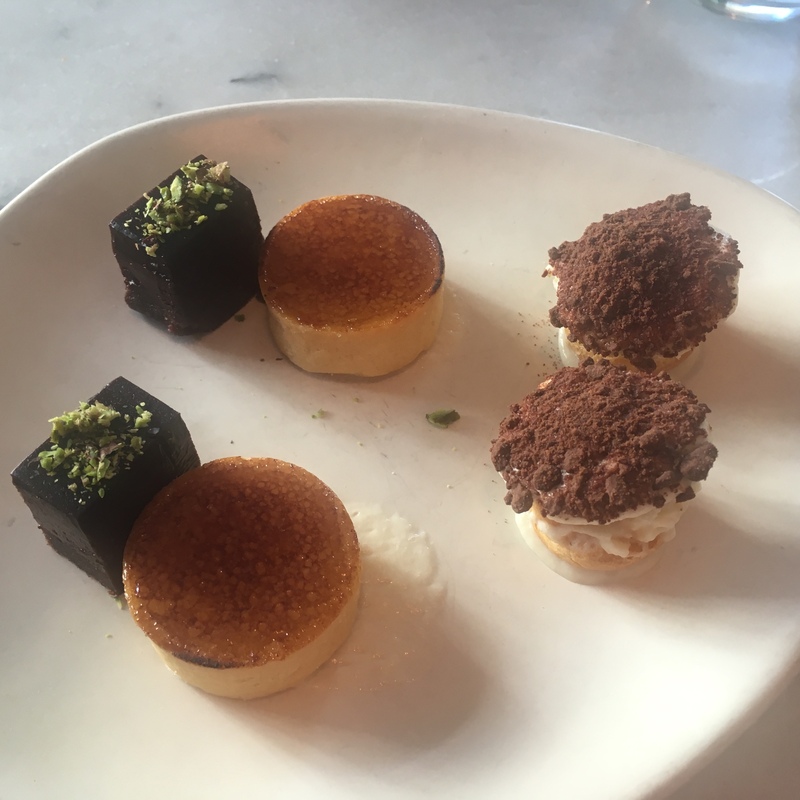 The petit fours provided as a light dessert, consisted of a chocolate ganache cake, creme brulee tart, and cream puff with white chocolate. 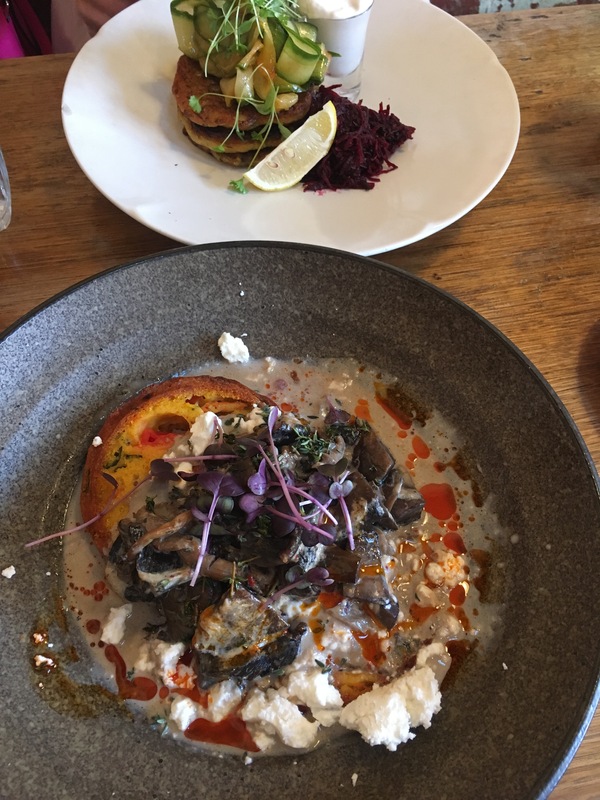 Whilst it was some confusion with the service that led us to the three course option, given the good value and our satisfied appetites, it was a good option. We are assuming that our waitperson misinterpreted our clear instructions, but we do have some doubts so best to be even clearer! Noir has only ever impressed me. It is almost unassuming; in a location near the corner of Swan and Church that is better known for the local pubs and cheaper eats. What has kept it open and successful for several years in this competitive environment is Noir’s consistent high quality. I’m reading about the Australians who fought for, and defended, Villers-Bretonneux in France, at the end of World War I, as I write on this Day of Remembrance*. 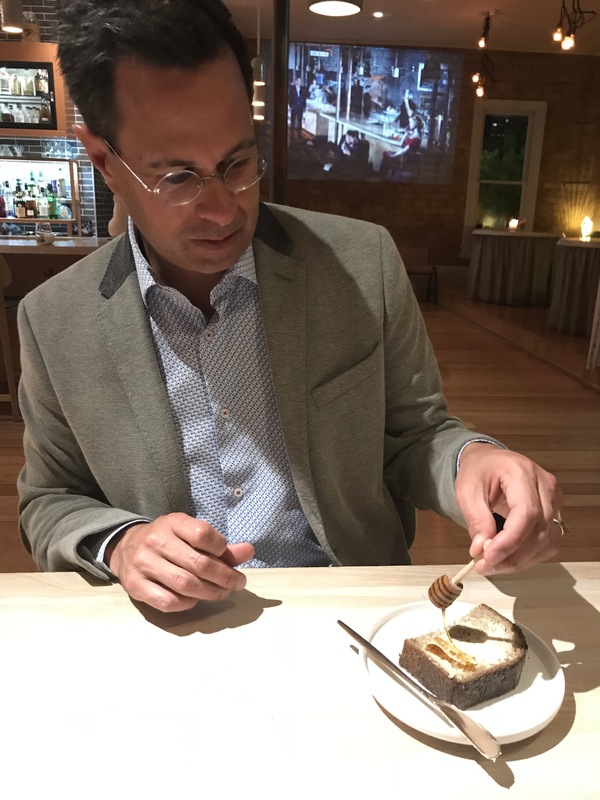 These important moments in our early history have an impact on Australian culture today, and there are elements that equally impact the way we dine. 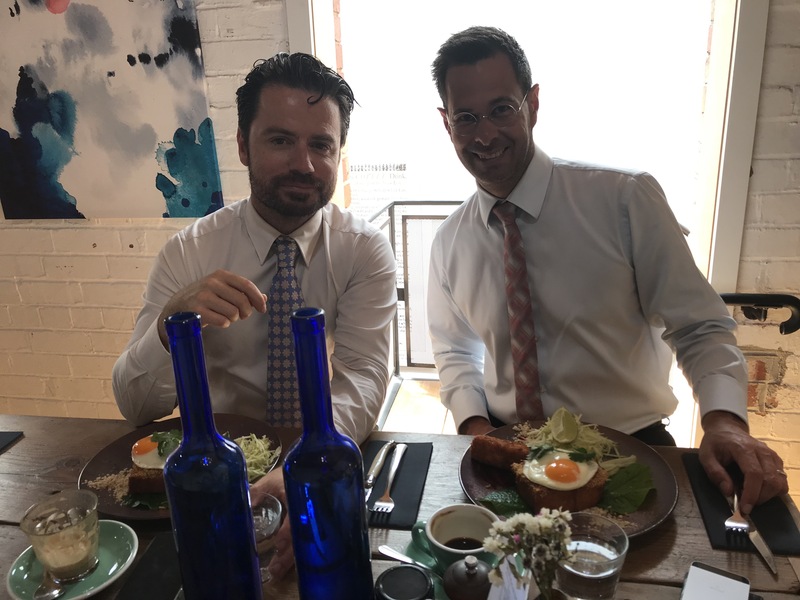 The whole idea of describing something as “modern Australian” is often used for restaurants that don’t fit into a particular genre. It has replaced the concept of “fusion”, which once was a popular term. If combining cuisines and using local ingredients is the backbone of modern Australian dining, there are a handful of restaurants that can make a case for being the trend setters. My opinion is that Lume is what modern Australian has become, or at least, what the expression should mean. 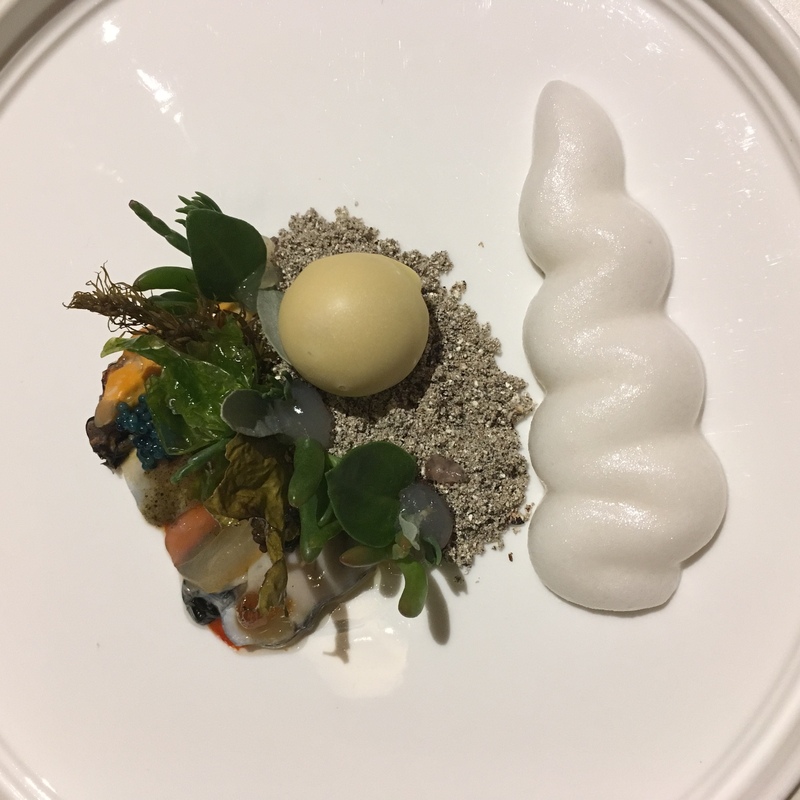 Intelligent use of native and locally produced ingredients, seemingly no cultural restraint (though I would say Japanese was more pronounced in certain dishes), and beautiful presentation, are the themes you see. Sure, there are not many everyday restaurants doing this, but just wait a few years. Cafes are going to have pig face on every dish requiring something green, seasoned macadamias will cover the bar, and salt bush with mountain pepper will be a snack you pick up at the local store. I’m not completely joking. The cultural characteristics I read of those incredible and brave Aussies in WWI still resonate in how we carry ourselves today. Our collective pride in farmer’s battling the conditions to grow quality produce; the quiet confidence of astute waitstaff that can do their job extremely well, but relax and make a joke at the same time; and the willingness to go that extra yard to improve an experience without any notion of it being for a tip. 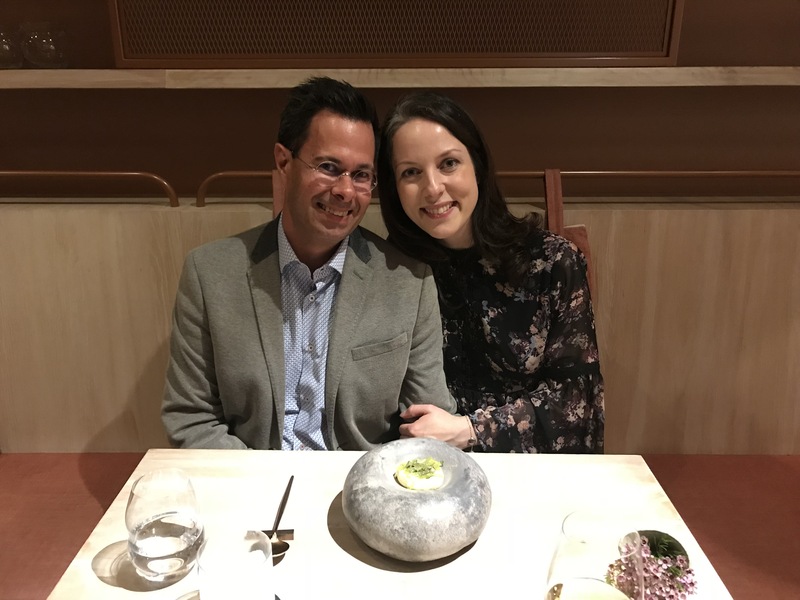 When you think about it, modern Australian dining has as much to do with our inclusive and laid back (but hard working) culture as it does with the food. It is something refreshing when you are not used to it, or comforting when you travel back home. 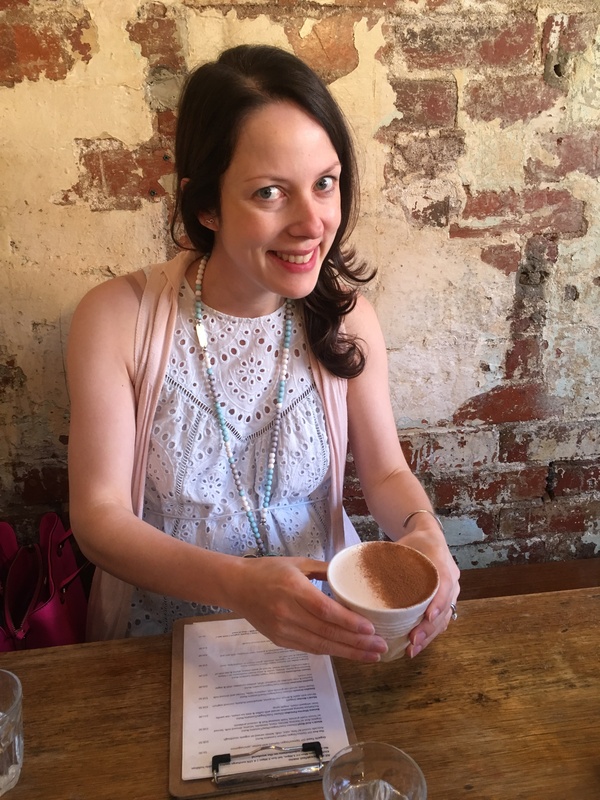 My wife Catherine is pregnant (very exciting!) and naturally careful about what she eats. We had made the usual early warning call, and the chefs had constructed her menu to be very similar to mine, with some changes to ensure the usual suspects were not there. The waitstaff were easily approachable when Catherine wanted some further comfort. More than that, there are some great friendly people working at Lume and the whole experience from that service aspect was almost perfect. There is an experimental nature to the food. We were doing the Incitation tasting menu of around seven courses, with some extras thrown in. After the seasoned macadamias we had two snack sized courses. 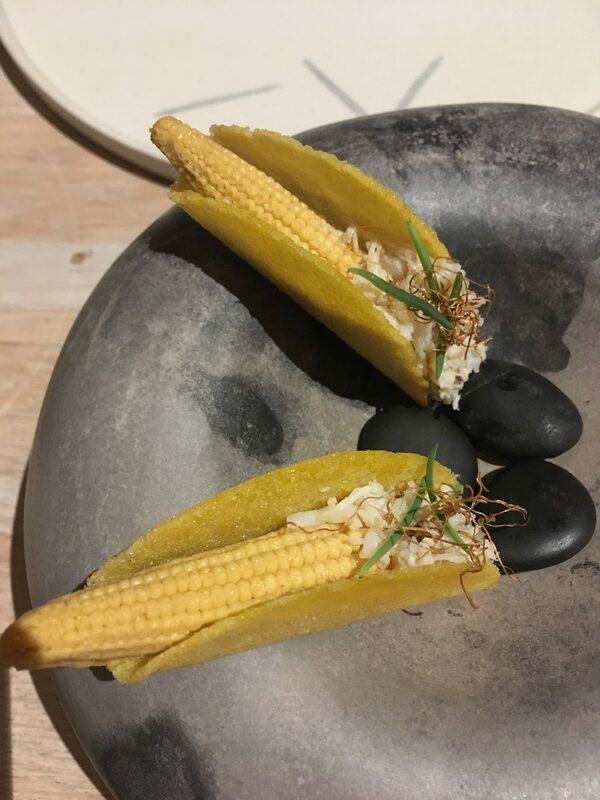 The first was “sea corn taco” which had a good amount of crab, but a textural trick with the baby corn being in a custard form. While I enjoyed it, the second snack of “Darwinian egg” was the tastier dish. 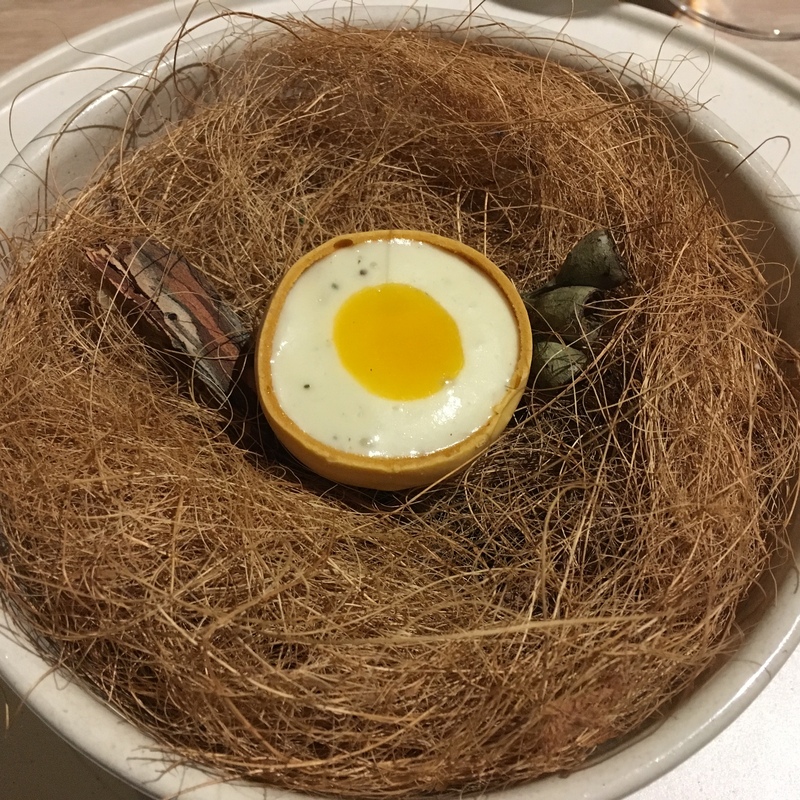 The egg shell was actually crispy chicken skin, and the filling was another beautiful custard-like concoction, this time of potato puree. One of the signatures of Lume came next with “Pearl on the ocean floor”. This is an immaculately presented collection of raw seafood, with textures, and foams, that you mix together once you’ve enjoyed a good look. I appreciated the dish, but it wasn’t my favourite of the night, with some of the more subtle seafood a little lost for me. Shortly after a favourite dish arrived. The nukazuke (pickled) broccoli and lemon myrtle, calamari gravy and finger lime is a revelation. 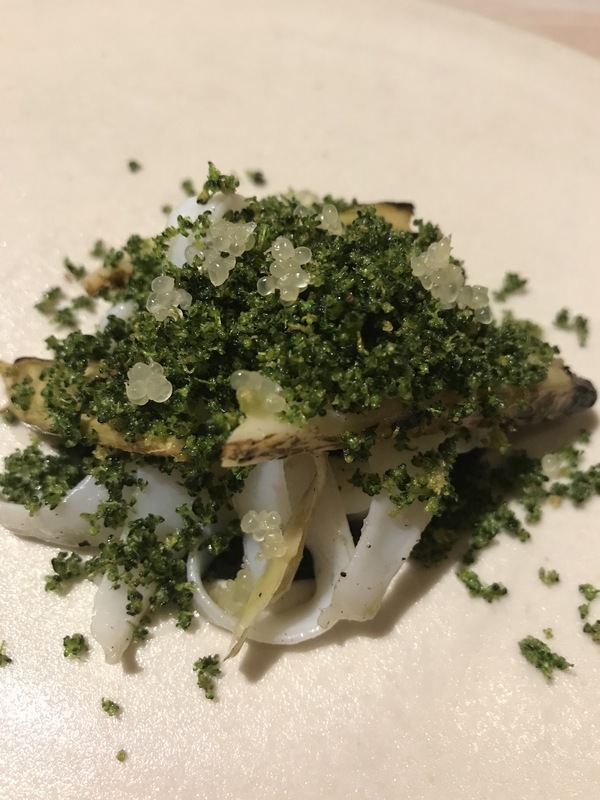 I’m a broccoli lover, and thought the dish was outstanding with the diversity of techniques, combination with the texture of calamari, and the pop from the finger lime, all making their mark. From here we were presented with the artichoke sourdough, served with smoked eel butter and sour corn honey, that was very enjoyable as we prepared for the main. The last savoury dish had the impact that often is missing in the main protein. 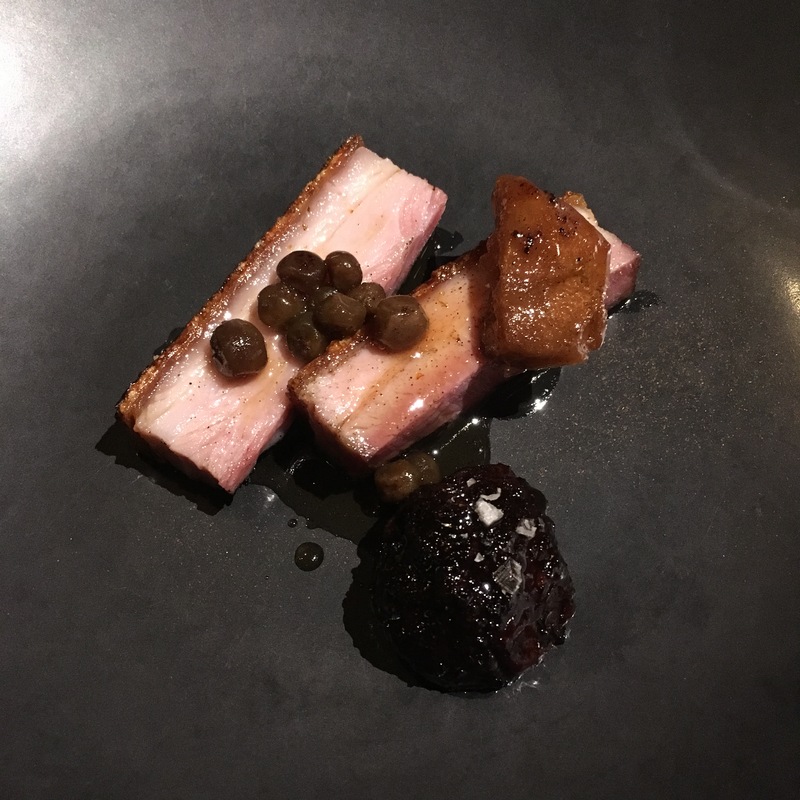 The pork has one of the most gorgeous crispy skins I’ve tasted and is cooked perfectly, with berries (they may have been quandongs), beetroot and an exquisite sauce. 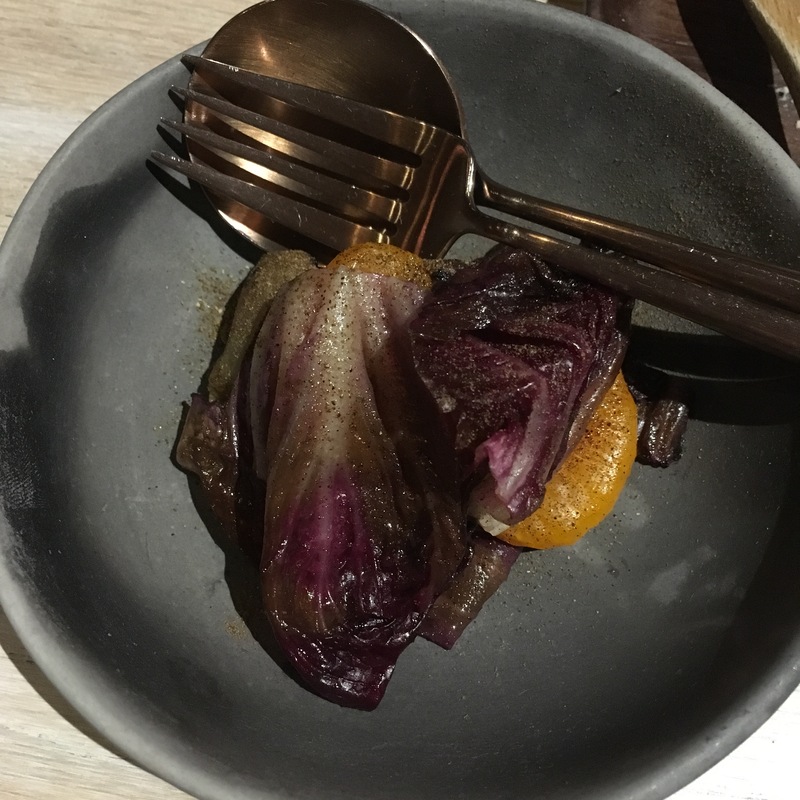 Even the radicchio with togarashi pepper and blood lime is sensational! Moving on to dessert, the first is more of a refresher. 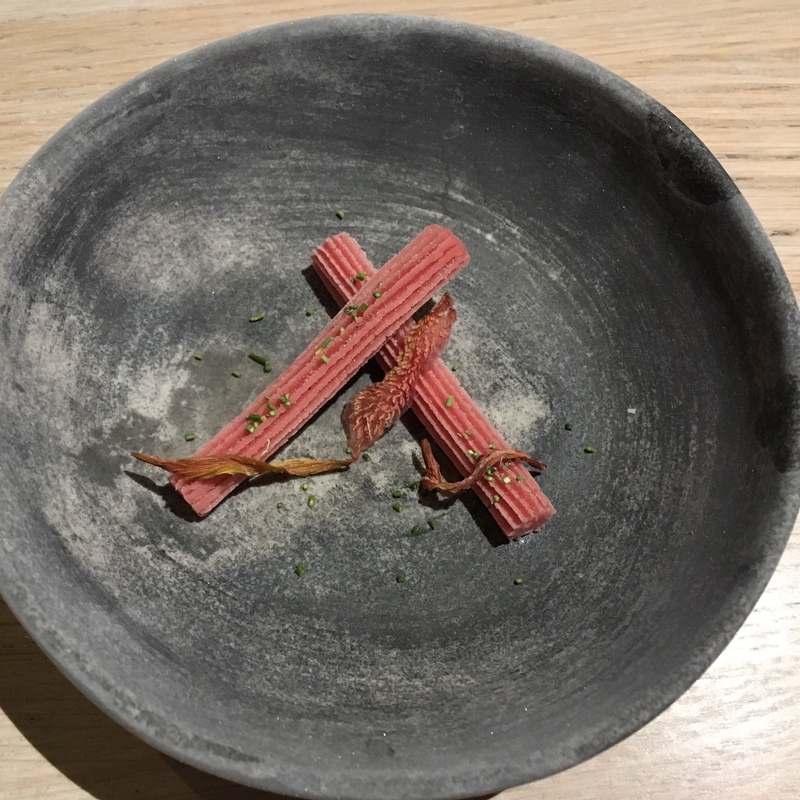 Playfully presented, the ice cold fermented passionfruit atop rhubarb formed into musk sticks, with Geraldton wax, is delightful. More seriously, the second dessert provides some more sweetness, though in balance, with an olive oil and mandarin peel ice cream, fennel and absinthe. I’ve always been a fan of olive oil based ice cream and this one is no exception to the rule. 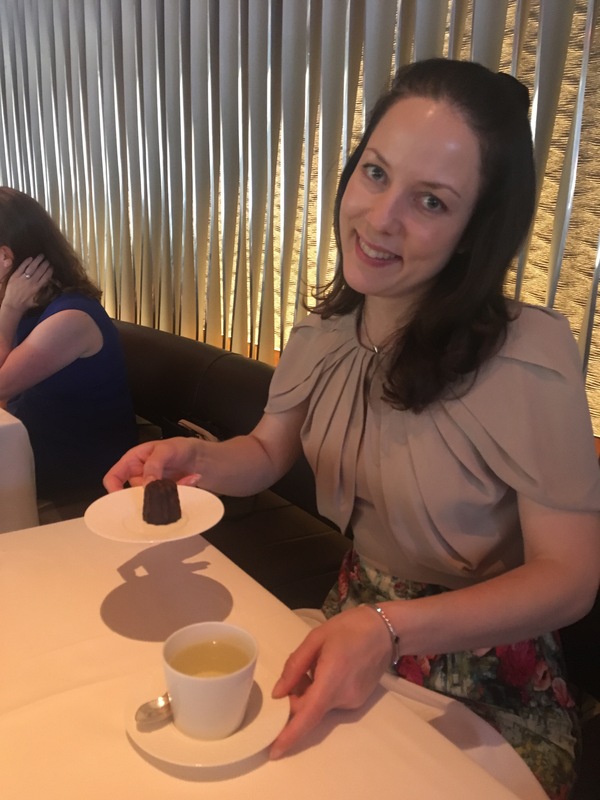 Throughout, the sommelier had helped match a couple of glasses of wine (and a dessert wine) to adjacent courses in the tasting menu, without doing a full matching. Don’t tell Catherine, but they were all terrific, with the Leirana Albarino my favourite in the early courses. I find this Spanish variety is one of the most versatile wines for subtle seafood dishes, with enough backbone to foil more pronounced flavours, but not necessarily the meatier dishes. Lume is going to change markedly in the new year. 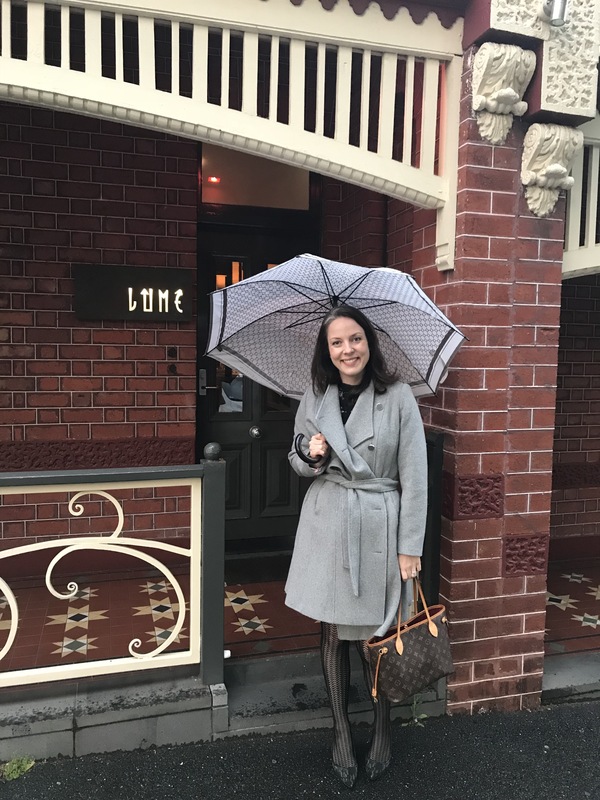 All trends take time to set, and there is little doubting why there is a serious following of this restaurant, the way Lume has been over the past few years. In an awkward location of South Melbourne it will need to stay special and relevant to keep up, let alone continue to set the agenda. I’m glad we had a chance to dine here as one door closed, and another opened. Good luck in the next chapter. * Note this was written some time ago! 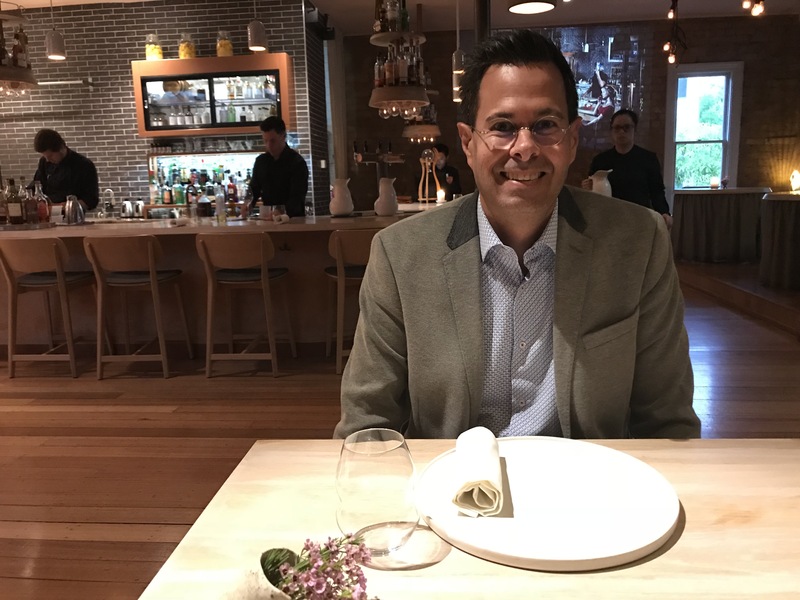 There has been significant change at Lume and in 2019 there will be a new more casual chapter, as the executive chef (Shaun Quade) travels to L.A. to open up a new restaurant. 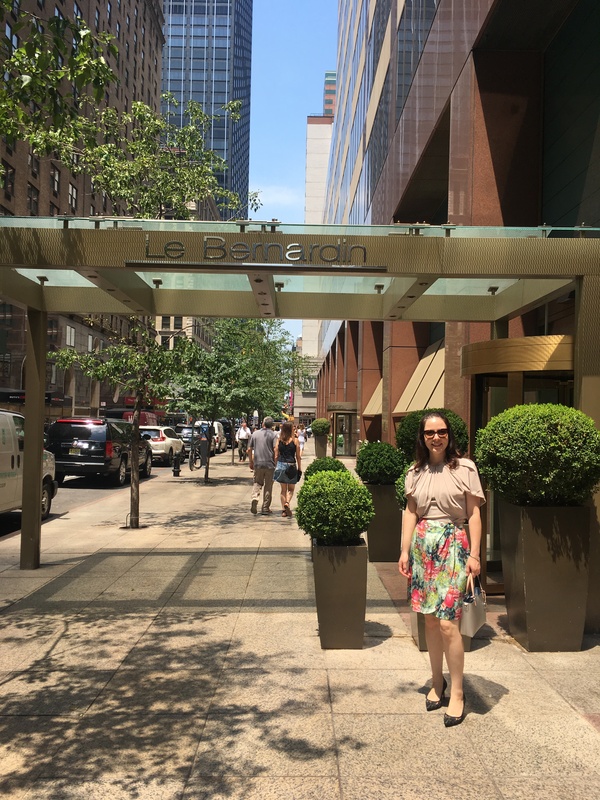 I had such a good meal I had to write about it, even if there will only be themes of the old restaurant in the new format. Yes! We have found a restaurant with waitstaff that can keep up with the humour and wit of my Mum! The restaurant manager mentions “Jesse will be with you shortly” and the first thing Jesse hears is something to do with the song “Jesse’s girl” care of Mum, followed up with my lack of singing ability when trying to explain what she is talking about. In the first few moments we know we have the right place. 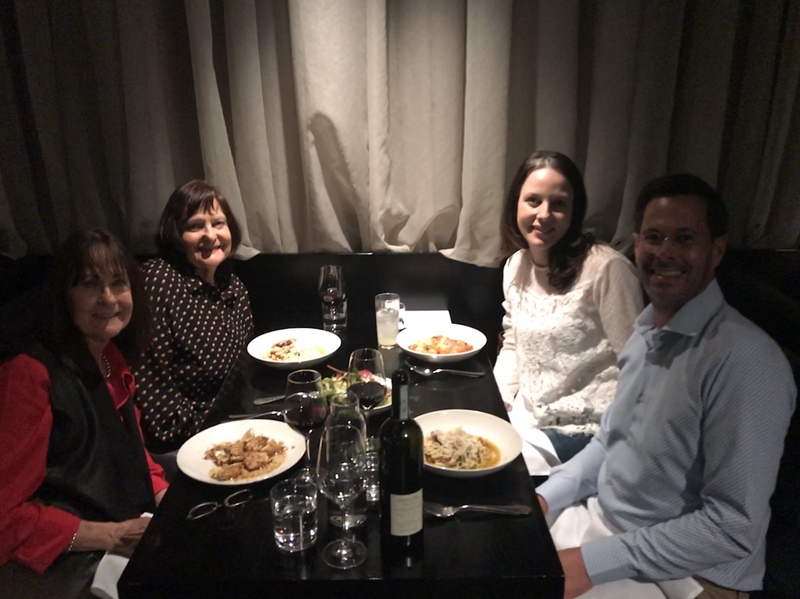 Mum is in her element when we add terrific guidance on the geographical and varietal diversity of the wine list, some natural oysters from Smoky Bay in South Australia (that are perfect), and a fun family catch up along with Catherine and my Aunty Sher. As usual we are deep in conversation for the entire meal, but occasionally that conversation is broken by a comprehensive enjoyment of the food and wine. Shadow Wine Bar has now “been around”, especially for a restaurant and bar in the Perth market that can be as trendy, as it is fickle, and often unapologetically challenging to remain relevant. I had been here for a drink, but never for dinner, but it did remain on my list. Maybe such a delay in dining here meant I had lesser expectations? Those expectations don’t matter, because even if they were loftier, they would have been exceeded tonight. On top of those perfect oysters, across the table we tried the cheese puff, and the meatball, plus the roasted beetroot with barley. They were all good to great. 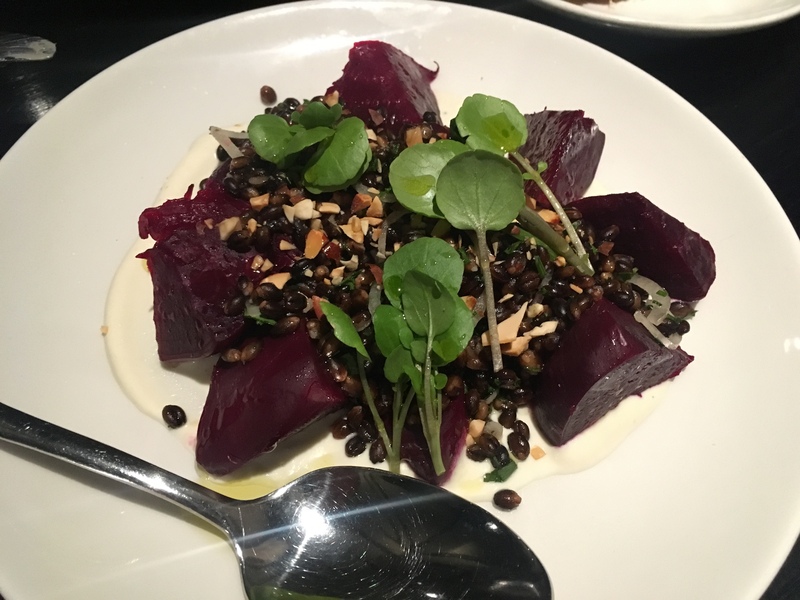 The beetroot was soft and sweet from the roasting, but the barley added strong texture, and the yoghurt was just right to add some creaminess. 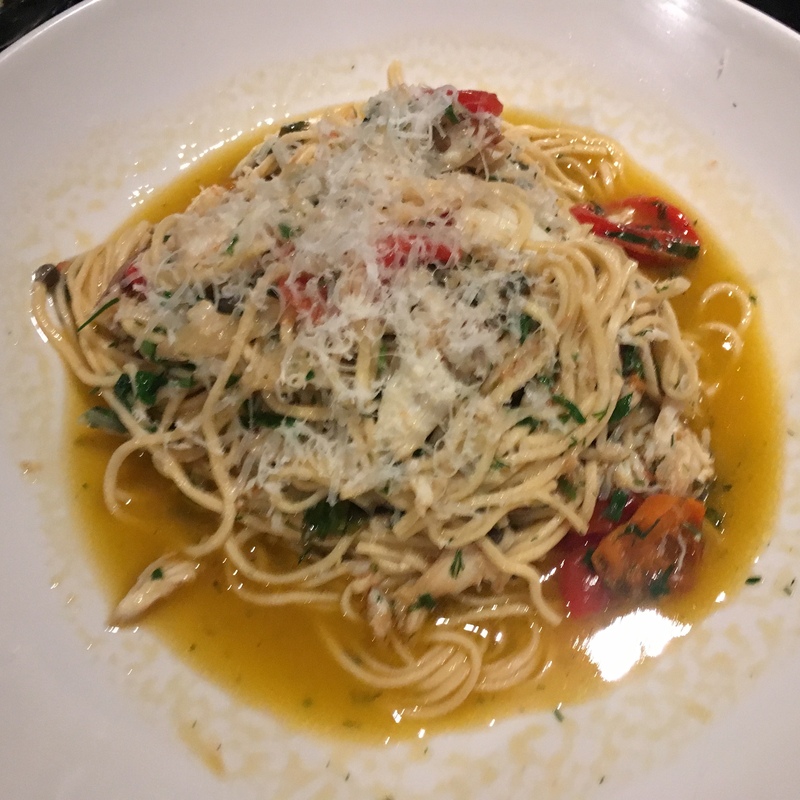 For mains, Sher and I both chose the spaghettini with crab, capers, lemon, and a light dose of chilli. The surprise was homemade spaghettini which is difficult to achieve with the right firmness, but this pasta was excellent without being absolutely perfect. The sauce made good use of all the ingredients in balanced proportions, though you can never have too much crab. 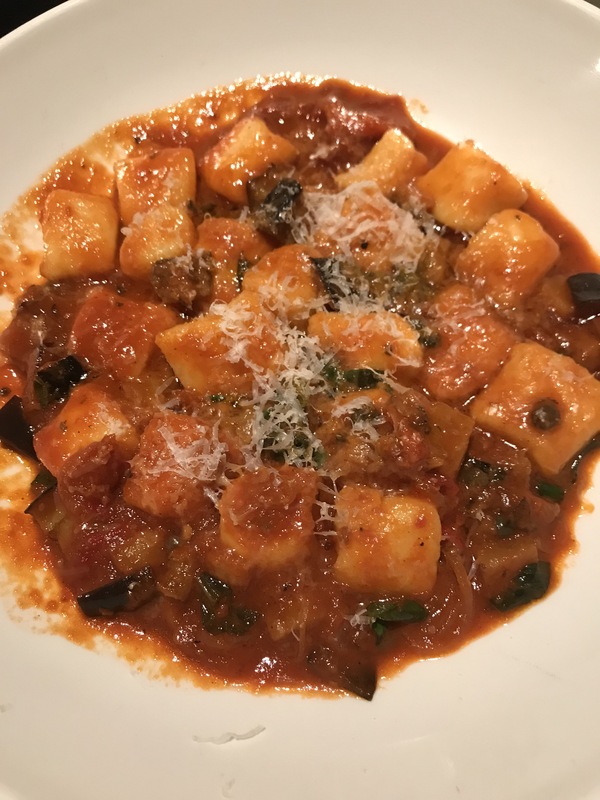 Catherine loved her gnocchi with a tomato and eggplant sauce. I tried it and thought it to be the equal of my pasta. Mum’s agnolotti lived up to her expectations too. For dessert we shared the tiramisu and the pear tarte tatin. The latter was the better dessert by far. While the tiramisu was nice enough, it was more cake-y than usual, and missed the high notes. 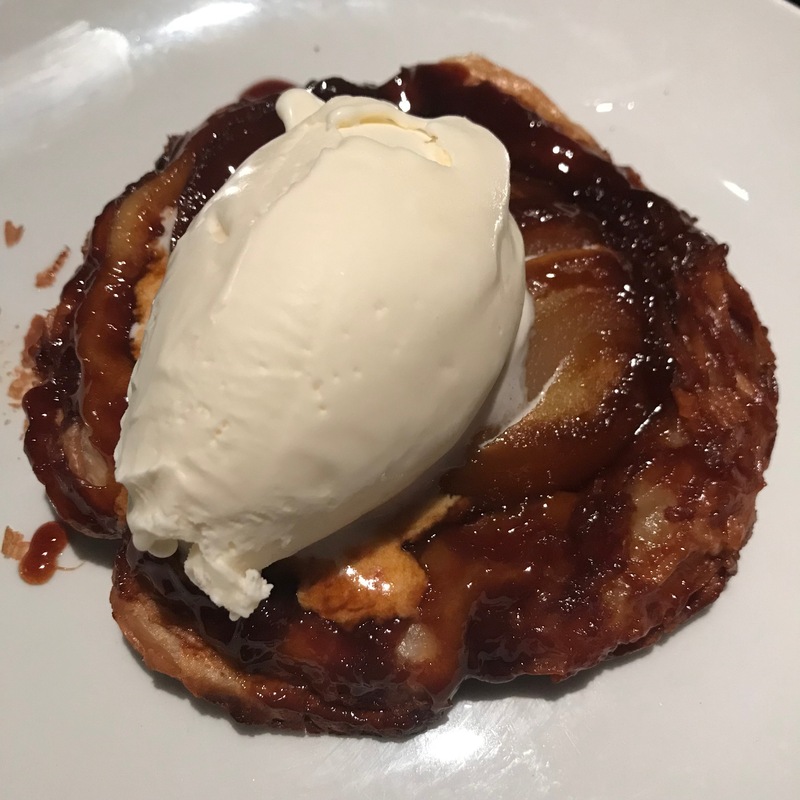 The pear tarte tatin was strongly executed, with crisp pastry. Shadow Wine Bar impressed on all levels. While it is equally adept for a casual wine catch up, the dining version is now my favoured scenario. 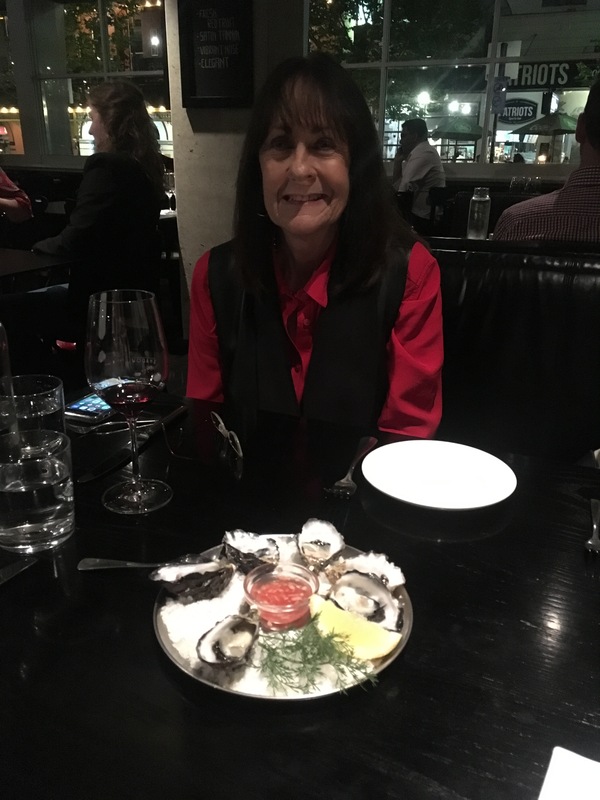 And Mum will definitely be back for some more oysters!